Other than being the political capital of Canada, Ottawa is known for two things: The frozen skateway known as the Rideau Canal and; the spring time Tulip Festival. 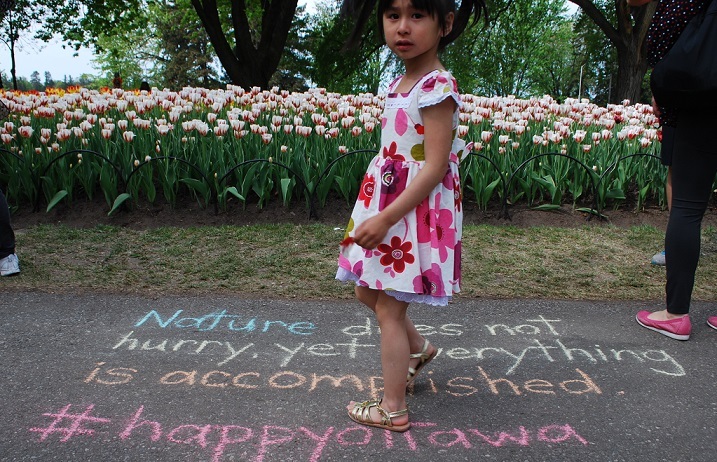 Along with thousands of tourists converging upon Dow's Lake on the festival's last weekend to admire the myriad tulips on display we looked down and came across these poetic pauses written in chalk. 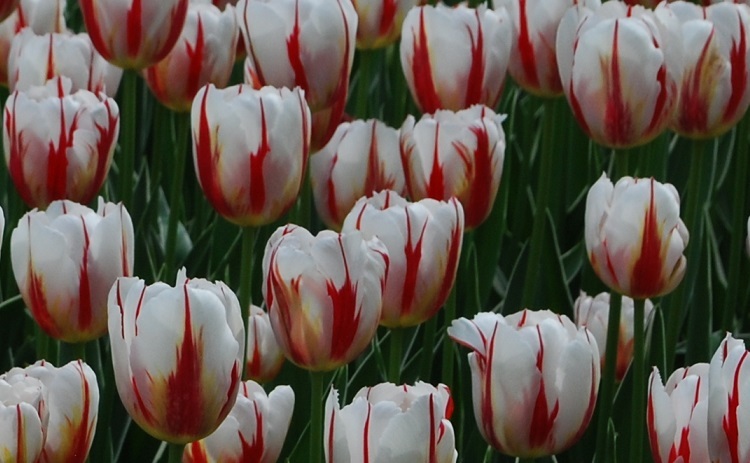 We've attributed the "anonymous" pauses where possible and have linked to biographical information on the authors. The following thoughts came to our collective consciousness first, through Chinese philosophers, American businesswomen and even the last line of the comedy TV series, The Office. 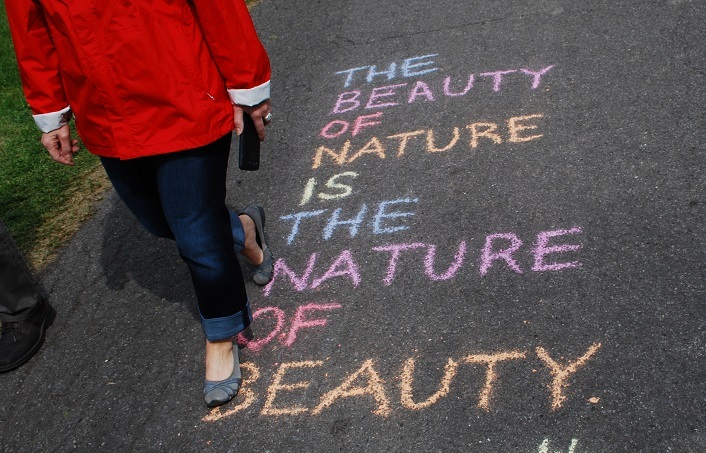 The beauty of nature is the nature of beauty. The original quote by Luther Standing Bear reads as, "A man’s heart away from nature becomes hard; lack of respect for growing, living things soon leads to a lack of respect for humans too." 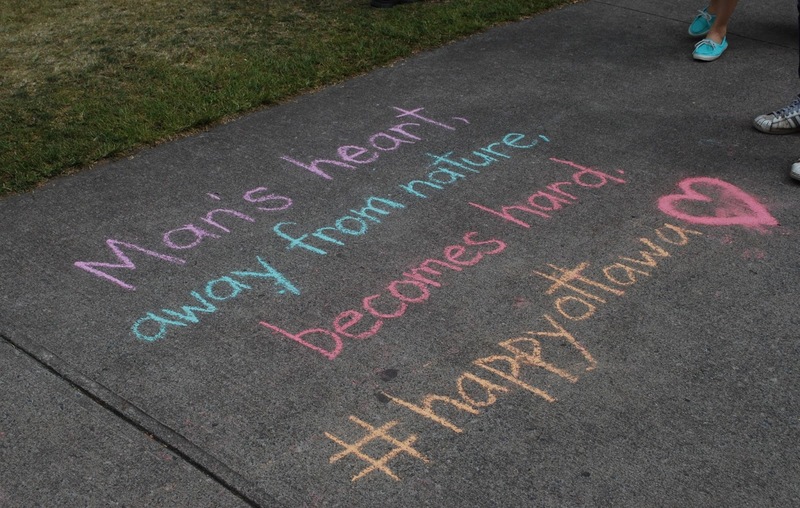 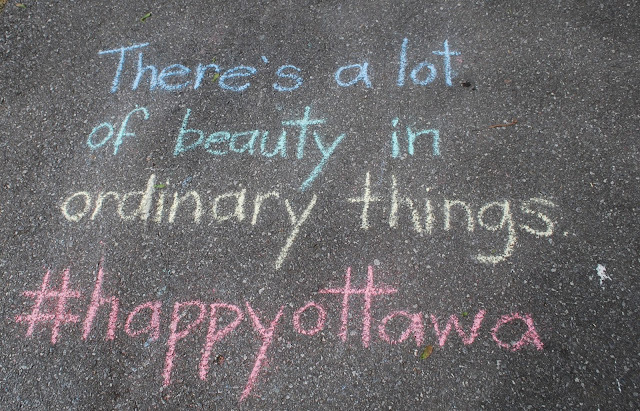 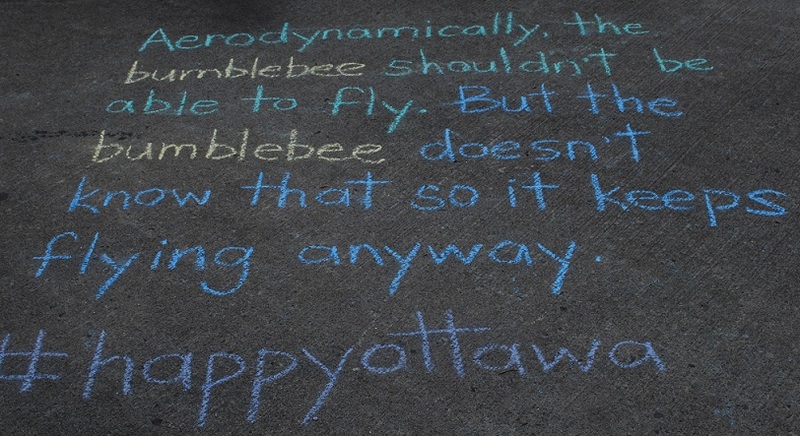 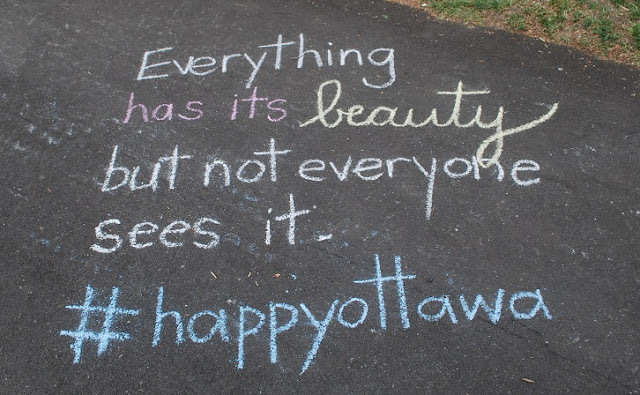 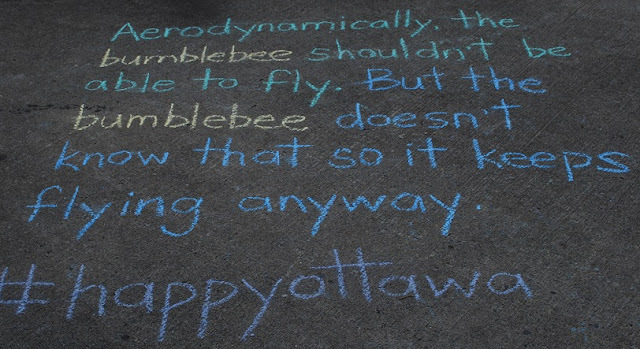 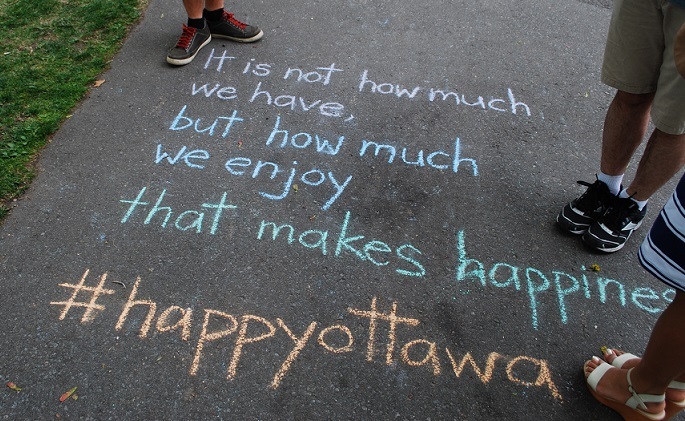 The quotes contained herein are part of an ongoing series of poetic pauses by Happy Ottawa and have been replicated elsewhere on Twitter and Instagram through the hashtag #HappyOttawa whose stated objective is to, "Making happiness contagious throughout Canada's capital, one chalk message at a time!"